I have never seen anything like it! All integral with tapered tangs. 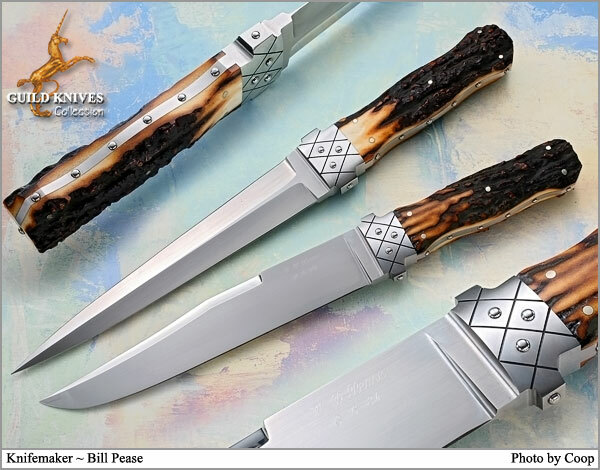 This matched set consists of a 13-inch Bowie and a 14-inch Dagger, both with premium Stag handles. The handles of each knife are of the same design but of different sizes. This matched pair is a rare work of art.